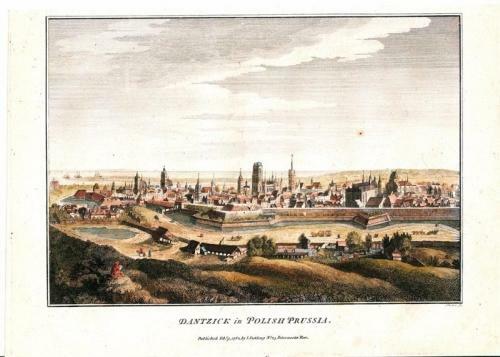 A fine panorama of Danzig (Gdansk) with the Baltic Sea in the distance. Scarce. This engraving was lower one of two engravings on a single sheet hence the fact that the upper plate mark is missing. One rust spot in the sky.